Shares in security firm G4S (GFS) jumped as much as 30% on Wednesday after Canadian rival Garda World Security said it was mulling over a potential £3 billion takeover. 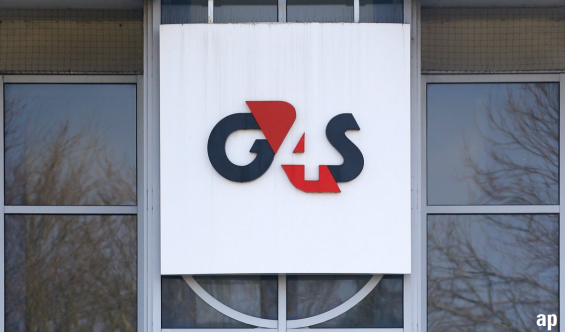 Troubled G4S has been at the centre of a number of controversies in the past few years, from criticism of their handling of security procedures during the London 2012 Olympics to allegations of wrongdoing in prisons and detention centres run by the firm. Until close of trading yesterday, shares had almost halved since peaking at 337p back in 2017 to a low, of 183p, not seen since the immediate aftermath of the Brexit referendum. But shares spiked to 241p, a seven-month high, after Garda World confirmed reports in London’s Evening Standard were true and that it was “in the preliminary stages of considering an approach to the board of G4S regarding a possible cash offer”. Under the UK takeover code, Garda has until close of play on May 8 to submit a firm intention to make an offer. Helal Miah, investment research analyst at The Share Centre, said while the deal valued G4S at roughly half what it was worth in 2017, it should offer good synergy benefits. “Given G4S’s management record over many years, it would be welcome to see another management team run the business for the good of investors, Government departments issuing contracts and maybe cheered by individuals whose welfare falls under the care of this company,” he added. The news comes just a month after G4S reported full-year profits had dived almost two-thirds thanks to compensation it was forced to pay out to thousands of staff members for lost meals and rest breaks. Morningstar analysts still believe the firm is undervalued, though, with a five-star rating on the stock. Its fair value estimate stands at 337p as analyst Michael Field believes it’s “more secure than it’s ever been”. “[We] believe the current malaise offers an attractive entry point,” Field explained in March. Will Jeremy Corbyn Really Nationalise UK Companies?